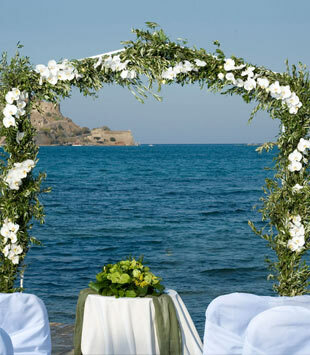 At Cyprus Wedding Experts, after many years in the business we are most certainly the experts in achieving perfection to ensure that your wedding is as unique as you are. So when we say Tailor-made .......... what we mean just that tailored to the needs and requirements of each couple and you as individuals, however everyone needs a figure to begin working from or something to begin with and that is why we have created for all locations some simple wedding portfolios which provide you with a place where you can begin to envisage creating your wedding dream. So lets begin by looking at the simple wedding portofolios as a guide we can begin to plan your wedding together. Remember it is usual to make changes, remove some bits, make some additions or even take a little bit from each portfolio and combine it all together, that’s what creating your dream wedding is all about. To create the perfect wedding a good amount of knowledge, creativity, an eye for detail and patience are the perfect ingredients and we certainly have all of those. The founder of Cyprus Wedding Experts was a member of the first UK Wedding Tour Operator and from that pioneered the art of tailor-made weddings in Cyprus more than 15 years ago, and since then has repeatedly been a key consultant for many leading 5 Star hotels in Cyprus and also Mainland Greece as between the two they have developed some of the most beautiful wedding venues and locations which you can be married in the Mediterranean. So with that in mind from Day one nothing that we do is standard and you will be treated as an individual and not a number or booking reference, nor will any of you requests have to go via a wedding department and then on to the resort which each time gives a timely delay. Our Wedding Co-ordinators & Planners will be on hand to give you the answers that you need immediately and on the rare occasion they can not or just need to check something it’s a simple direct phone call away to the person concerned and you will have your questions answered with a short period of time. Your wedding planner and travel consultant will work with you all the way through to your wedding day and will co-ordinate every aspect of your wedding and not forgetting the honeymoon part too. So either give us a call on 0800 810 8127 or complete our online wedding enquiry and a member of our team will personally contact you by telephone to discuss in more detail all your requirements before sending you the information you require to begin creating your own personal wedding portfolio for your dream wedding in Cyprus or Greece.